eleven8 is one of ‘Dubstep’s’ finest young talents, having released on some of the biggest labels, eleven8 is just starting to expand his sound while branching out into other genres including ‘d&b’ and ‘future garage’. 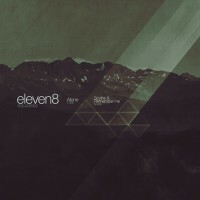 Showing his versatility, ‘eleven8’ shows off his production skills in this release which incorporates elements of guitars, synths, dirty bass and clean crisp drums to show off what a seismic style this young producer has. ‘Alone’ is the title track and has ‘eleven8’s’ signature sound strewn all over it. Tight razor sharp drums over a skippy time signature and brooding subs make this one a heavy affair. A very catchy vocal riff and driving atmosphere round off this intricate track. The aptly titled track “Remember Me’ is a tribute to a friend of ‘eleven8’s’ that sadly passed away. On first listen you can hear the meaningful melodies of the guitars and the emotion ‘eleven8’ really has passed into this track. A very soft track with deep meaning but don’t be fooled; the baseline is still perfect for rattling any club sound system. The flip ‘Scythe’ is reminiscent of something from an alien mothership. Complex beat patterns and punchy mid range bass take the listener on a wonderfully dimly lit journey into the depths of electronic music. A track that is perfect for a late night rave but still subtle enough to listen to on your iPod.